Here is another electric skateboard that can give you a super smooth ride outside. 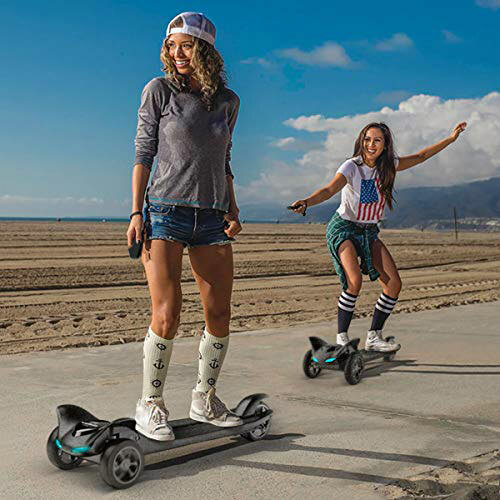 The TOMOLOO H3 Skateboard has a max speed of 17.5mph and can handle load up to 265lbs. It comes with a 250W motor and can handle inclines up to 30 degrees. You get a remote control with easy access to 3 modes. The TOMOLOO H3 skateboard can also work as a Bluetooth speaker. It absorbs shock to provide you with a comfortable ride. You get a smart display to see speed, power, and mileage.